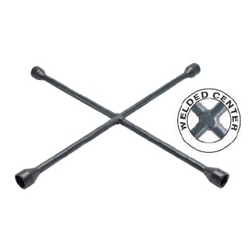 Standard Passenger Four-Way Lug Wrench Socket Sizes 7/8" deep well,15/16", 1", 1-1/16" Ken Tool T90 / BOWES KT T90. Welded center construction for strength and durability. Premium grade, special bar quality steel for extra strength.